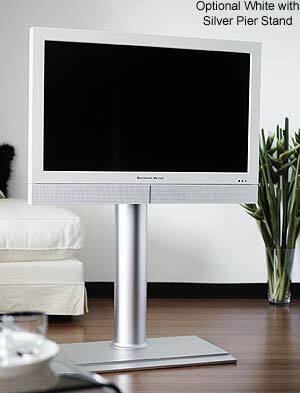 Baumann Meyer is a specialist in flat panel television development, in the field of LCD technology. 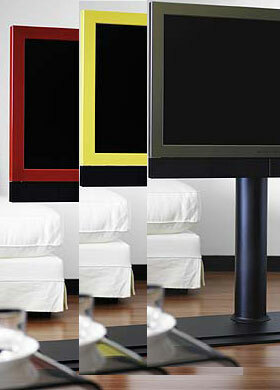 Starting with the early development and manufacture of LCD touch screen monitors in 1994. 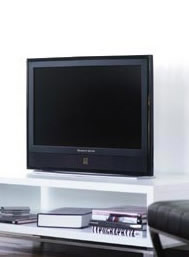 Experience the depth of detail and clarity available on the NEW 100hz 10bit processor, Baumann Meyer home theatre series: 46” (DF4660DBC100) and 40" (DF4060BC100). 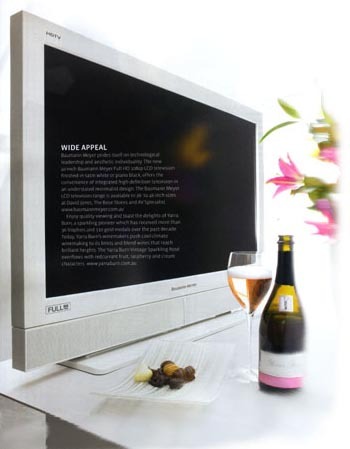 DF3220BC (LCD TV Of The Year **WINNER** 2009 Sound + Image AWARDS) the new 32”, 40” and 46” LCD television range use the popular Baumann Meyer bezel design and combine it with the brand new high performance engine known as QIA3 Full HD 1080p. The result is a picture 30% sharper and more detailed than the previous model with significantly better black levels and smoother more fluid movement. 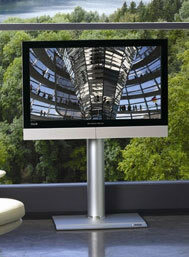 Other improvements include greater integration of the on board DVB-T tuner, while ease of use is maintained with clear easy to read menu icons and programmable multifunction buttons. .
DT2620DPB The new Baumann Meyer's QIA3 Series LCD TV range offer the “complete solution” to widescreen television viewing. Picture Perfect realism, clean dynamic audio and simple no hassle (no set top box) convenience of integrated High Definition Digital Tuner and “one remote” operation. 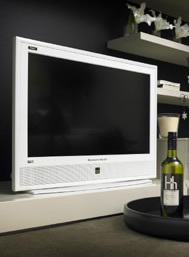 The 66cm / 26" DT2620DPB is the perfect television for bedroom, kitchen, caravan or boat.